Two very talented football (soccer) players appear just in time to stop their new high school team from disbanding. Will these first years be able to pull their team to the top? 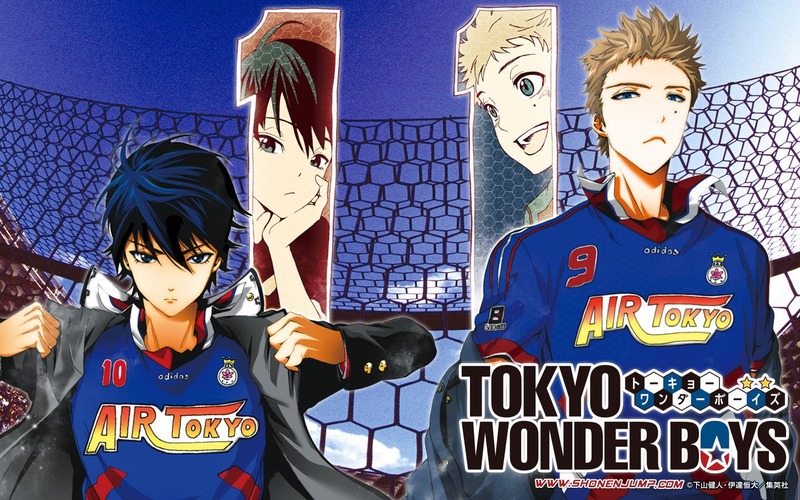 Tokyo Wonder Boys started in issue 14 of Weekly Shonen Jump by newcomers Kento Shimoyama (author) & Tsunehiro Date (artist). Historically, Football (Soccer) tend to do the worst among the sports manga; however there are always exceptions. Shimoyama and Date have alot of work in order to increase this series appeal, but so far so good. The first chapter was quite amusing with the two protagonist gag moments.